Paging Dr. Raupp, paging Dr. Mike Raupp! Okay, Dr. Raupp, this bug’s for you! I don’t really mean to sound like a beer commercial, but I really wish Mike Raupp was in my garden with me this morning. My beautiful collards that I grew from seed kept getting eaten. 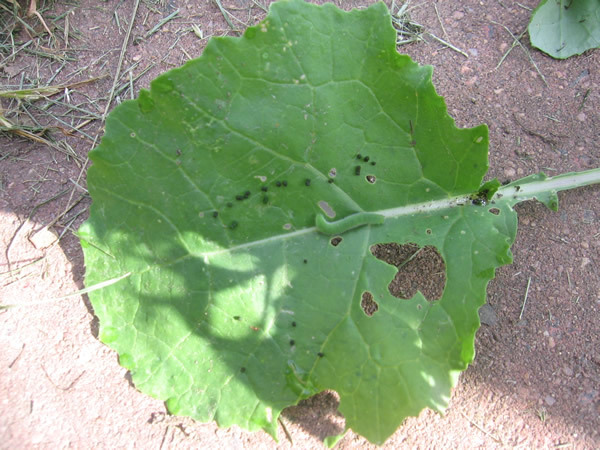 I figured it was slugs, but when the leaves kept getting eaten despite the usual attempts to deter them (that usually work) I knew something was up. Whatever type of moth it was, it certainly loved being photographed. It stayed very still for me. I got the best shot I could with my little digital camera. I had to use the zoom lens….I was only going to get but so close to the thing! Yes, I am a master gardener and I am scared TO DEATH of bugs. They give me the heebie jeebies and make me itch. In fact, I’m going to go and take a shower now and burn off a layer of skin. Hopefully when I return someone can tell me at least what type of worm that was. 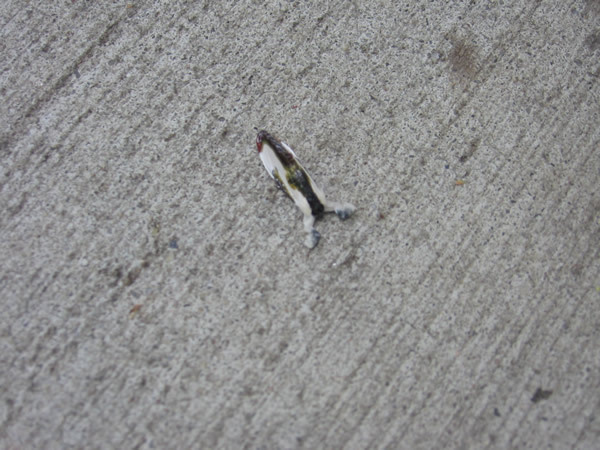 But if I’ve discovered a new species of moth, I get to name it and it will be Lepidoptera Poopicus. The first one looks like a cabbage worm, larva of the cabbage white butterfly. I'll let someone else take the other – very interesting bug! Hi, Erica: You are a right. I was browsing through my MG handbook and there was a picture of that little homewrecker. I also did some research (gotta love Google) and apparently what I thought were eggs were actually it's feces. Suzanne Klick ID'd the moth as the Beautiful Wood-Nymph. 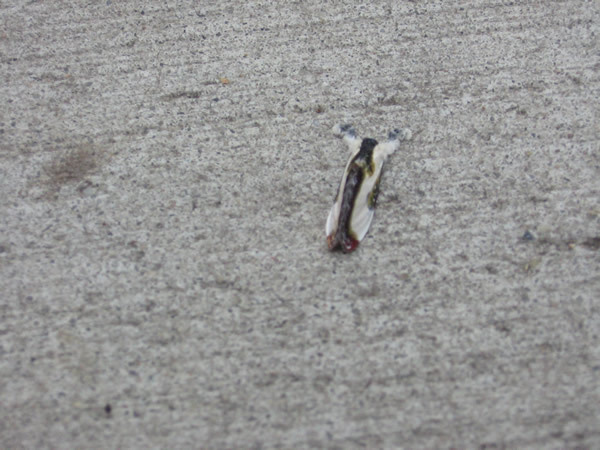 Odd name for a moth that looks like bird poop! It is a type of Forester Moth. The caterpillars in this group are brightly colored as a warning to birds. Orange heads with black spots and black and white rings on the body. The caterpillars primarily eat grape, Virginia creeper, and Ampelopsis foliage.